I am a big fan of NPR (National Public Radio for those of who live outside of the US), and I recently listened to a broadcast in which the commentators explained the virtues of this great invention called "Green Roofs"! A green roof (also known as a living roof) would be great for the environment because the vegetation and the soil used as a "roofing material" would absorb the excess rain, provide insulation, and prevent the Heat Island effect. This made me chuckle because, while I think green roofs are a great idea, they are hardly a novel one. Our current and certainly necessary desire to save the planet has led us into such acrobatics...or as a dear friend of mine would say "techno green". 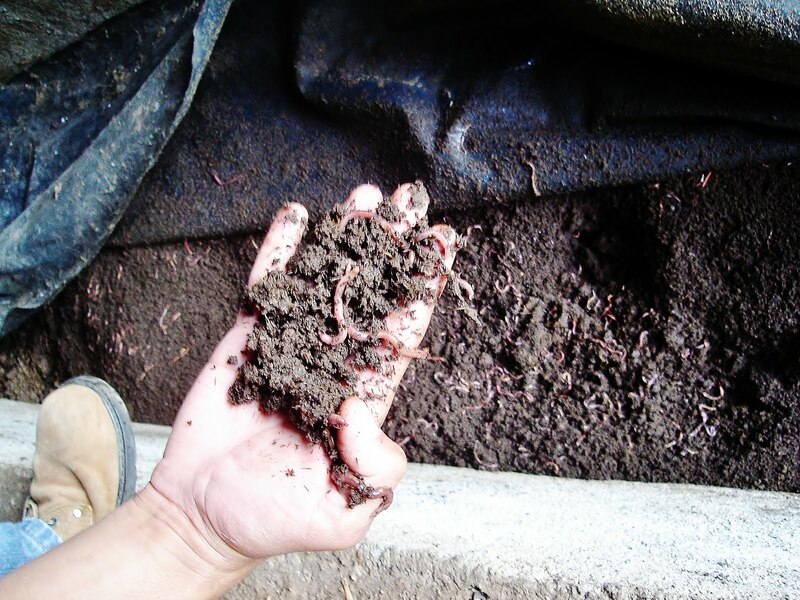 Installing a green roof is expensive, and depending on the type it could also be expensive to maintain, not to mention the structural complexity necessary to support the different plant species, the soil, and the irrigation and drainage systems. Chapel. Selva Negra Mountain Lodge. Matagalpa, Nicaragua. 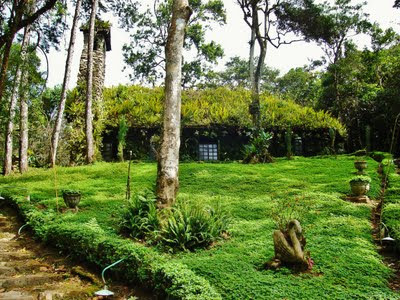 The simple masonry structure is covered in moss, ferns, and sometimes orchids! All this vegetation helps insulate the building, absorb rain water, and filter and cool the air in the vicinity, just like our friends at NPR would suggest. 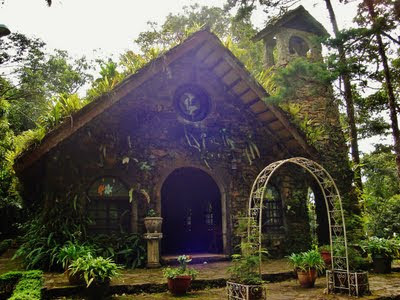 The differences between this rustic chapel and the rooftop gardens built in Manhattan and elsewhere are 1. 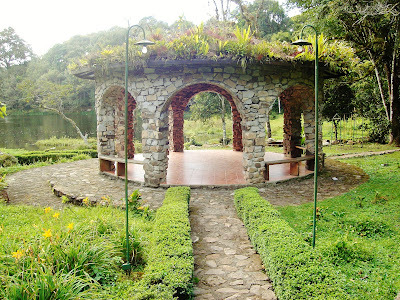 The lack of soil on the roof because the native ferns, mosses, and orchids of Matagalpa only need some friendly cross-pollination to attach to ANY surface available, therefore no soil is required. 2. The type of plant material: ferns, mosses, grasses, instead of heavier, larger species. 3. 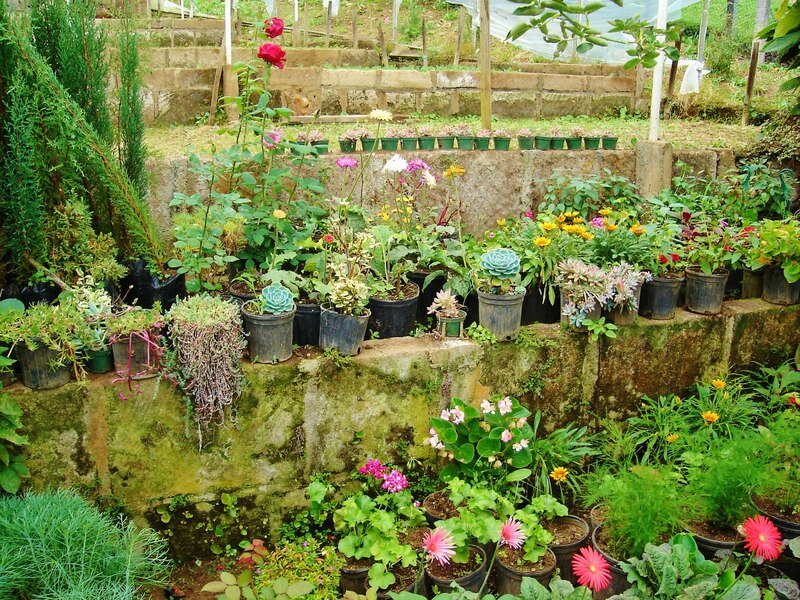 No irrigation system because the climate in the mountains of Matagalpa is categorized as a cloud rainforest, with a constant mist over the hills and heavy rainfall year round, so the plants follow a natural growth process. 4. The (oh so revolutionary) idea of a sloped roof, which renders a drainage system unnecessary; any water that is not absorbed by the plants is shed by the slope of the roof and then absorbed in the surrounding vegetation. People in the mountains of Matagalpa are constantly fighting their ferns, but Mausi Hayn de Kuhl and Eddy Kuhl, owners and residents of the Selva Negra Ecolodge and Coffee Estate have engaged the encroaching forest most advantageously. Selva Negra is a magical place; its name refers to Der Schwarzwald, the Black Forest in Southwestern Germany, and it is a reminder of the wave of immigration that flowed into Matagalpa in the 1840's. 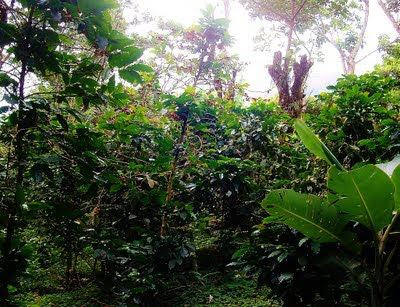 German settlers planted the first coffee trees in the land, and the coffee market attracted hundreds of European immigrants, whence Mr. Kuhl and Mrs. Hayn de Kuhl are descended. Don Eddy, as he is affectionately known, holds degrees in Architecture and Civil Engineering; Doña Mausi studied Architecture as well, and in the early years of their marriage they established a building enterprise together, that is until they heard the call of the Land. Don Eddy and Doña Mausi have created in Selva Negra a true oasis of sustainability, where the Ecolodge is just a small perk in their greater commitment to preserving the cloud rainforest, working the land with as little impact as possible, promoting social welfare, and (in my own very biased opinion) producing the best organic coffee there is! 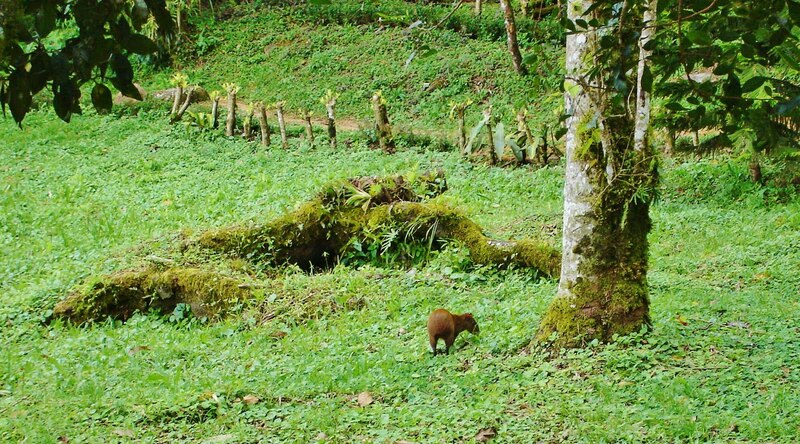 The Shade Grown Bourbon and Caturra (Arabica) coffee varieties produced at Selva Negra. I have visited the Ecolodge many times, my family and I have lit the fires in December in the Viejo Otto (Matagalpa is blissfully cool), we have hiked the trails, we have rowed in the lake, and once my cousins and I were chased by a flock of hostile geese. 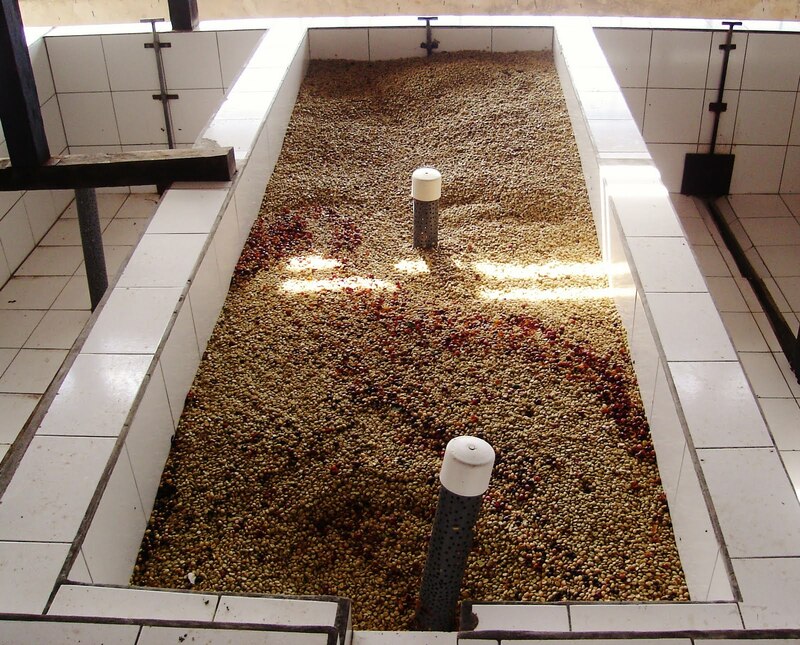 But it was not until my most recent visit, when my husband and I toured the "Beneficio" (where the coffee is processed) and La Hammonia farm, that I truly appreciated the work performed in the estate. 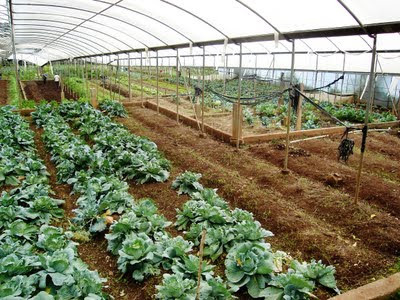 Every vegetable consumed, every glass of milk and slice of cheese, every cut of ham and meat, is grown, raised, prepared, and processed on the land. Worm Compost. 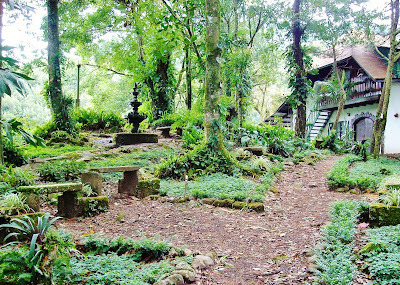 La Hammonia Farm, Selva Negra. 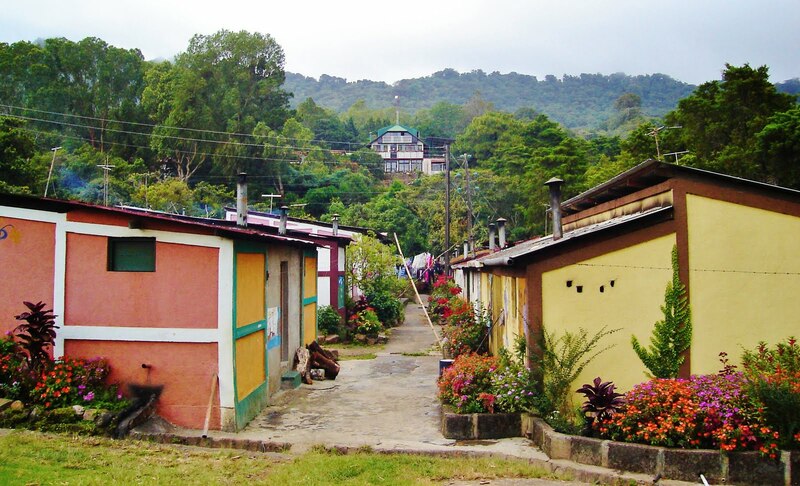 Matagalpa, Nicaragua. Mill. La Hammonia Farm. Selva Negra. Matagalpa, Nicaragua. The Fermentation Process. 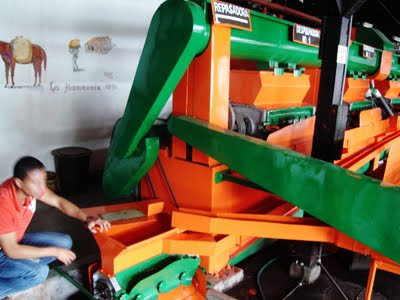 La Hammonia Farm. Selva Negra. Matagalpa, Nicaragua. In a society where poverty is endemic, the memory of wars is still seared in the mind's eye, and political corruption trickles from the top, it is easy for plantation owners to revert to feudalism, exploiting their workers, many of whom are illiterate and many of whom are children. 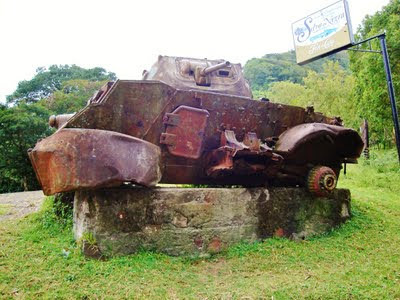 An old tank marks the turn on the country road towards the Ecolodge. Matagalpa, Nicaragua. The Kuhls' reverence for the land extends to the well being of their workers (permanent or seasonal), who I understand fare much better than at nearby "beneficios" and farms in the rest of the country. The permanent workers live within the estate, and the seasonal workers are provided lodgings on the property as well. The workers eat in the cafeteria the same fruits of the land that are served those who visit the Ecolodge. Doña Mausi has created a clinic at the village, and there is also a school and a library. I was told that youths are not allowed to enter the fields without first completing their education, this prevents both child labor (which is still a problem in Nicaragua) and opens up new avenues for them: our most excellent tour guide told us how he grew up on the estate, and was able to attend university where he studied Tourism and Hotel Administration (a very popular major of study, considering the developing industry of tourism); he has now returned to Matagalpa and works in the administration of the Ecolodge. Workers Village. La Hammonia Farm. Matagalpa, Nicaragua. Nursery. La Hammonia Farm. Selva Negra. Matagalpa, Nicaragua. 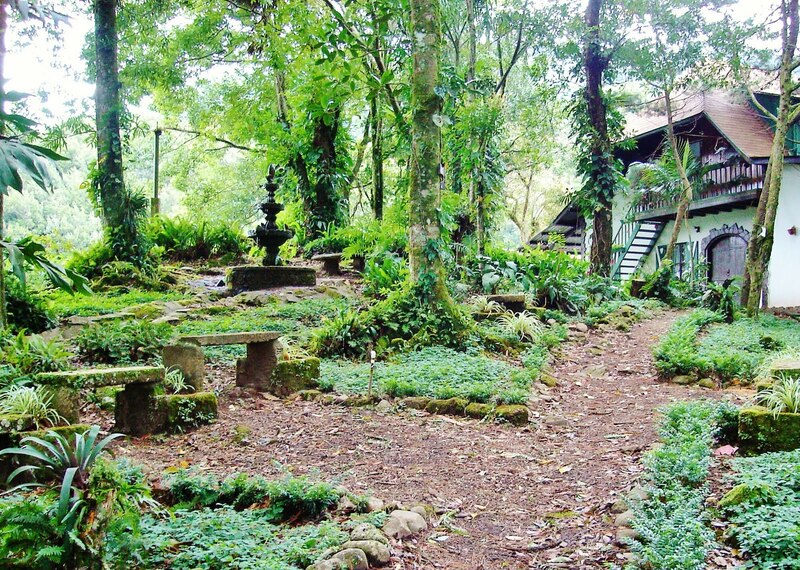 Selva Negra is a peaceful place, one will not find many TVs or loud entertainment sets on the grounds; instead the living room of the Lodge is equipped with board games and a small library. 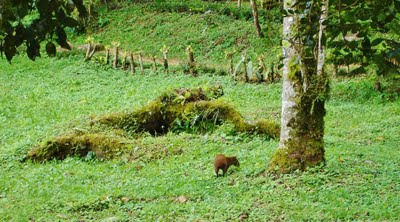 Don Eddy and Doña Mausi can often be found at the Lodge, particularly at meal times, and they also conduct tours of the farm when their schedule allows it. Don Eddy takes a personal interest on his guests and will often sit with you and enjoy a cup of (what else?) coffee. He will regale you with many stories about the history of the area, or Nicaragua in general, and best of all, he will share with you the many ways to brew and prepare a cup of coffee. 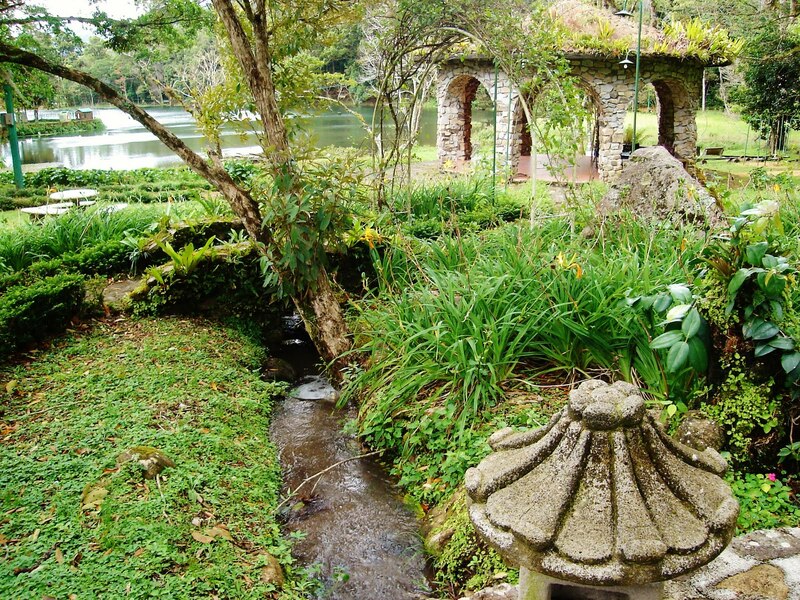 The visitor is encouraged to take part in many leisure activities like horseback riding, rowing, hiking, or to simply relish in the contemplation of Nature at her very best. Entrance to the Mountain trails. Selva Negra cloud rainforest. Matagalpa, Nicaragua. Guardatinaja. 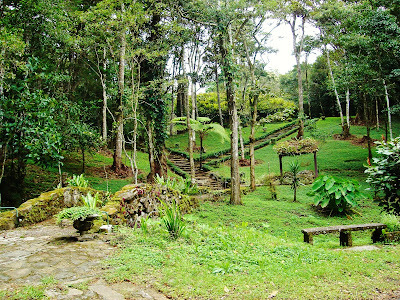 Selva Negra Ecolodge. Matagalpa, Nicaragua. 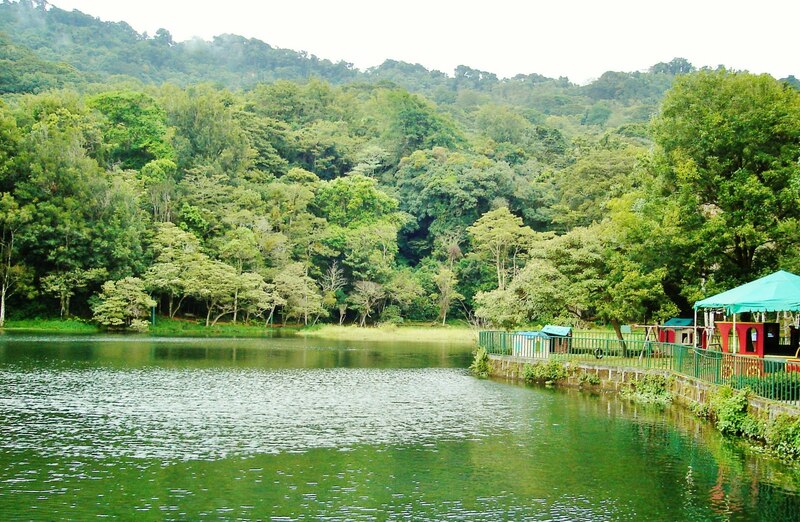 Selva Negra is a beautiful place. It is a well loved child raised to maturity throughout many decades. The Lodge. 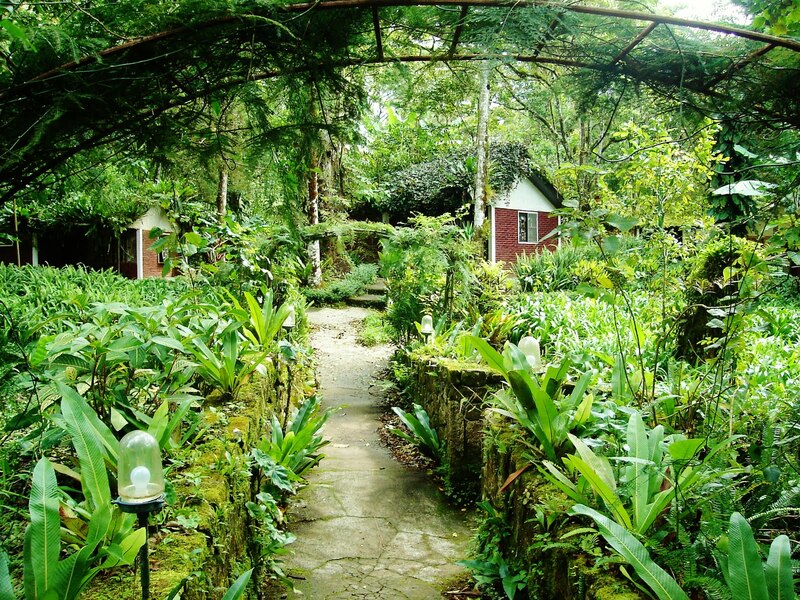 Selva Negra Ecolodge. Matagalpa, Nicaragua. The lake, with the children's playground on the right. Selva Negra Ecolodge. Matagalpa, Nicaragua. 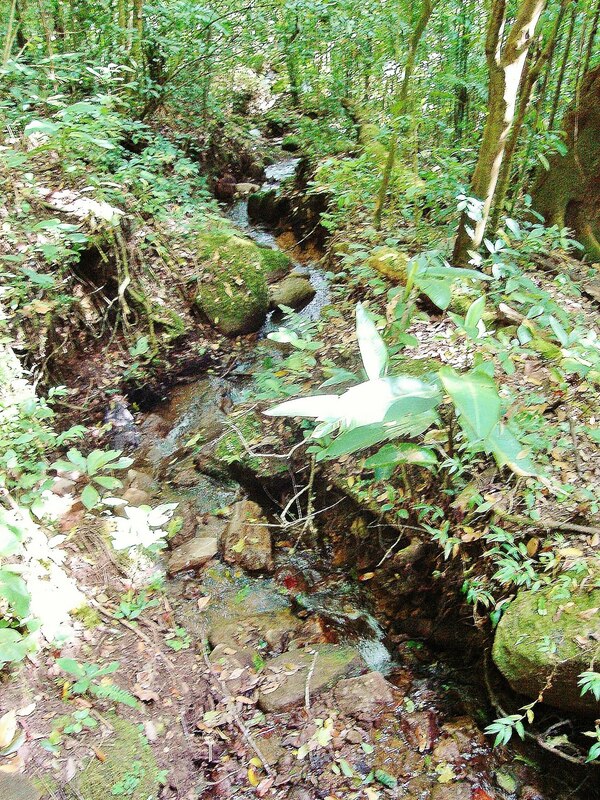 A creek along the mountain trail. Selva Negra cloud rainforest. Matagalpa, Nicaragua. Glorieta. 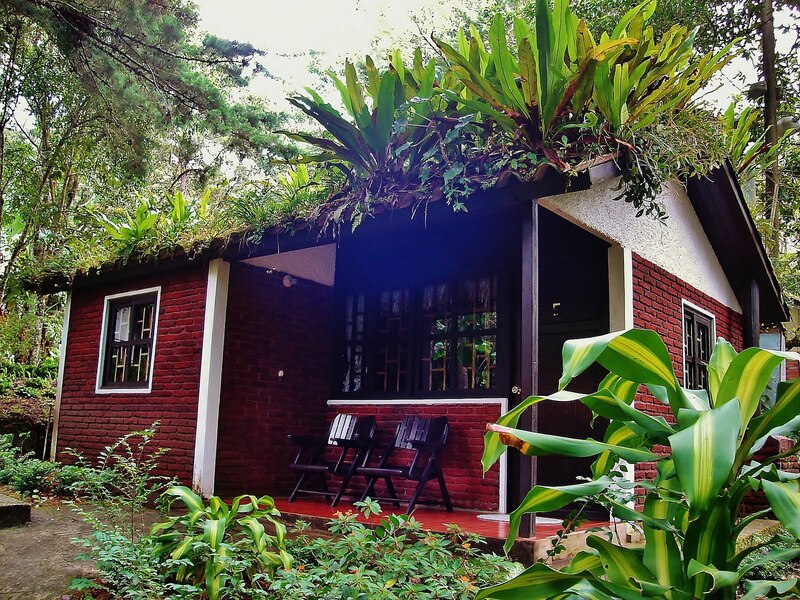 Selva Negra Ecolodge. Matagalpa, Nicaragua. Selva Negra is a Green place; I am fortunate to have enjoyed its riches, its beauty, its peace, its people. I hope one day you will too. Guest Cabin. Selva Negra Ecolodge. Matagalpa, Nicaragua. - Selva Negra Coffee can be purchased in the United States, exclusively at Whole Foods where it is called "Allegro Origins Nicaraguan Organic Selva Negra". - Selva Negra Coffee can also be purchased directly from the Kuhls' youngest daughter at Java Vino Coffee & Wine House in Atlanta, Georgia. - Visit Selva Negra to learn more. Are you kidding me, Nadia?!?!?!? This article is so The New York Times Travel section material. Forget about Lonely Planet or even Travel Channel online. I love how you manage to support toursim in Nicaragua as well as giving historical information. I can't wait to read your next blog. Cheers! I am so glad someone finally countered the whole techno-green issue. I love how there is always a traditional (and unfortunately, little known) precedent for everything people try to package buildings with to make them green. Hopefully, we'll be going back to traditional construction techniques and materials. And you KNOW you KNOW a great deal about that. Also, I really wish Nicaraguans and Salvadorans could work together to support and advertise places like this. I would LOVE to visit it some day.